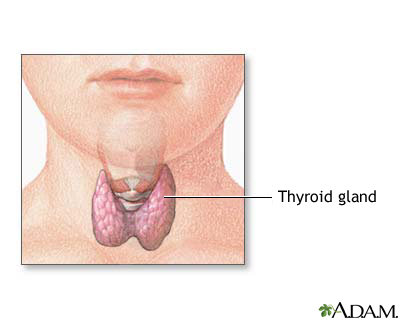 The thyroid is a gland located in the neck. It is a part of the endocrine (hormone) system, and plays a major role in regulating the body's metabolism. Thyroid disorders are more common in older children and adolescents (especially in girls) than in infants. Most thyroid conditions can be treated medically, but occasionally surgery is required.